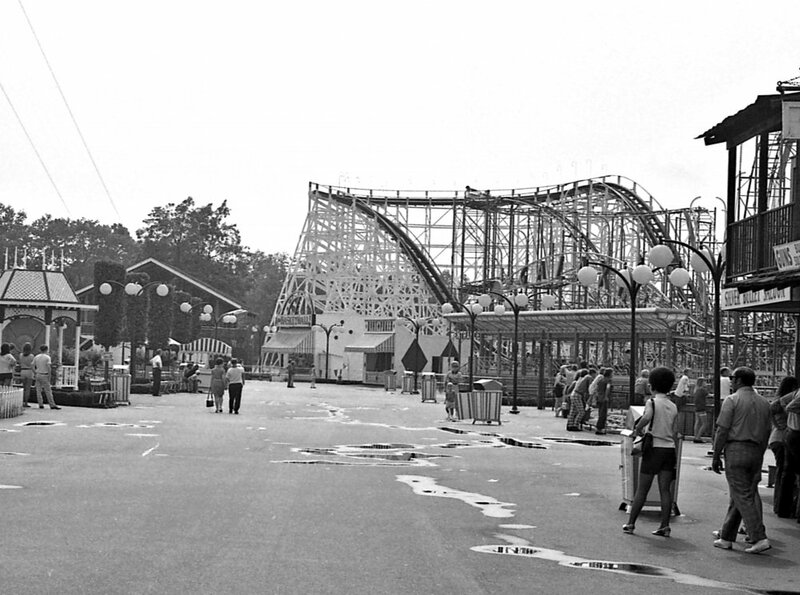 I have received some great historical pictures from Coney in September of 1971, right before the park closed. These photos are courtesy of Paul Adams, and include many shots/angles that I have never seen before. Thanks for posting that. It brings back a lot of memories . Way to awesome, thanks. Coney the little Park that made Kings Island, and never wanted to be totally bulldozed.. The Park that keeps evolving, growing, keeps keeping on. This is a pretty cool documentary that I stumbled across a couple of years ago and these old photos reminded me of it. It is about the making of Kings Island and how it came from Coney. Check it out! Love these. Thank you for sharing these. The 1971 pictures were very cool, but actually also pretty sad to flip through. Just knowing that it would close a few days later. But of course it never completely died. It was also cool seeing that picture of the carousel. Hard to imagine it without the Wurlitzer 157. Loved this series, its great I forget the maybe 20th anniversary special was greatbtp, i wish someone had a great copy. The host i forget to.. I actually just saw this video for the first time on Friday. This does have some awesome footage. You can actually see several of the buildings that are still standing at Coney to this day. Obviously, some of the rides like the log flume have been relocated to Kings Island. Since then, Lake Como's configuration was changed. I’m absolutely obsessed with Coney pictures. I would love more pictures of the Lost River, especially the inside and the Haunted House. Those two rides are ones that that I would have loved to seen transferred to Kings Island. Very cool. I like those "see you at Kings Island" signs throughout the park. It's also amazing that, here we are, in 2018, and the "new" Kings Island park is currently building a brand-new restaurant themed to an area that itself is modeled after Coney Island. Still influential 47 years later. You know, it would be cool to see one of those signs in Coney Mall at KI now for nostalgia sake. Wow! I just discovered these for the first time and am blown away by the quality. Plus the fact there are so many pictures... definitely a treasure. Big thanks to Paul Adams! Yes, they are wonderful pictures. 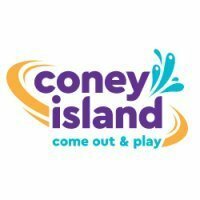 It is amazing to think that Coney is gearing up to start its 133 season this year! @coasterrz - I've always wondered: Are any of the midways at Coney the original ones from '71 or earlier? Or was the park essentially leveled and they started from scratch? I’d think the area outside of Moonlite Gardens and the games building might be..? That is correct. Also, the current maintenance building used to be part of the Cafeteria. That is the building immediately behind the Carousel and Scream Machine. Behind the administration building and now behind a fence in an area for employees only is the German beer garden restaurant. That is now the comissary, used to produce food for Moonlite Gardens when there are weddings there, or for specialty food items for the picnic grove. The location of the Fender Bender is the approximate location of where the Shooting Star station used to be. To the right of the LaRosas building used to be where the Skeeball building stood. Now it's just shaded seating. Crazy how there's nothing left of it at all. It is amazing how there are some traces of things of the past, and then there are some things that are completely gone with no traces whatsoever. This brought back a zillion childhood memories. The opening sequence for the Banana Splits and Friends show was filmed at Coney Island. The ending sequence shows the train tunnel. Cool to see the Carousel in that clip. Looks almost exactly like we see it today.